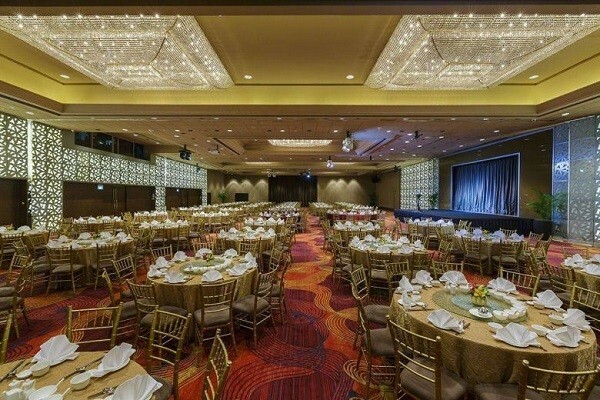 Forty-two guests have fallen ill after attending a wedding banquet at Mandarin Orchard Singapore on Sunday (Dec 2). This is the latest food poisoning incident in the recent weeks. 3 incidents has happened before this in the past 4 weeks. The authorities reported that as of Wednesday 9:30am, four of them has been hospitalized. The Ministry of Health (MOH), National Environment Agency (NEA) and Agri-Food & Veterinary Authority (AVA) said in a joint statement on Wednesday that they are investigating the outbreak of gastroenteritis, which has been traced to the food prepared at Mandarin Orchard and later eaten by those affected. Counsellor Matthew Tjow, his wife and three children were among the more than 400 guests who attended the wedding lunch banquet. The 40 year old said that he and his three children began showing symptoms of gastroenteritis on Monday while his wife experience stomach discomfort on Tuesday. “She had several bouts of vomiting back to back, and we were worried that she may be dehydrated. All of us haven’t had enough sleep in the past days.” He also added that his 10 year old son is still running a fever on Wednesday. “All of us came together on Sunday with the intention of celebrating the couple’s happy marriage. It is sad that it is now marred by this crisis, and my newly married friends are now put in an uncomfortable and unhappy situation,” said Mr Tjow, who first met the groom about 20 years ago. A representative from the hotel had contacted him on Tuesday night and paid his family a visit on Wednesday afternoon. MOH, NEA and AVA said that they have conducted a joint inspection of the caterer’s premises on Tuesday. As part of the investigations, food handlers were sent for stool screening, and food and environmental samples were taken for testing. A spokesman for Mandarin Orchard said on Wednesday that the hotel has been reaching out to affected guests, offering support and assistance wherever possible, and to personally check on how they are doing. They are also cooperating fully with the authorities in their investigations, adding that official findings should be released soon. Meanwhile, the hotel workers who handled the food during the banquet event has been temporarily relieved of their duties until they have completed all necessary medical tests and are cleared by the authorities. The hotel will also cease serving raw food prepared from its banquet kitchens while investigations are ongoing. “We remain committed to adhering to stringent food hygiene and sanitation standards across our food and beverage operations, as we have always been,” the spokesman added.